The Big A was home to the Anaheim Angels in the 1990s with a giant 'A' towering beyond the outfield fence in left field, with by a yellow halo near the top. The Auburn Tigers had their own Big A in Karl Amonite in 2005. Amonite (senior, Woodslee, Ont.) was the apple of the voters eye, as he hit like a devil to gain the most first-place votes in the sixth annual All-Canadian College team. The slugging first baseman was the top vote getter, with 55 first-place votes, two more than DH Mike Gosse(freshman, Pitt Meadows, BC), of the New Mexico Thunderbirds. The next top vote getters, of the 684 Canadians playing south of the border, were first-teamers outfielderTim Smith (freshman, Toronto, Ont. ), of the Midland Chaparrals, who had 43 and lefty Morgan Carlile(freshman, Summerside, PEI), of the Campbellsville Tigers, who had 42. OF Jason Bay (Trail, BC), of the Gonzaga Stags, was a first team All-Canadian in 2000 and now patrols left field for the Pittsburgh Pirates. RHP Rich Harden (Victoria, BC), of Central Arizona Vaqueros, earned first team honours in 2001 and now anchors the Oakland A's rotation. OF Adam Stern (London, Ont. ), of the Nebraska Cornhuskers, was named to the 2001 second-team and spent the 2005 season with the Boston Red Sox after the World Series champs made him a Rule V selection from the Atlanta Braves. LHP Jeff Francis (North Delta, BC), of the highly-successful British Columbia Thunderbirds, proved you can stay near and go far, as he was a first-team All-Canadian selection in 2002, a first-round pick (ninth over-all) in the MLB draft and is now a member of the Colorado Rockies rotation. RP Jesse Crain (Toronto, Ont. ), of the Houston Cougars, earned first-team honours as a closer and was also selected to the second team as a shortstop in 2002. Now, he calls the Minnesota Twins bullpen his home. C George Kottaras (Markham, Ont. ), of the Connors State Cowboys, a second-teamer in 2002, who gained honourable mention in 2003, is on the cusp with the San Diego Padres. C Russell Martin (Montreal, Que. ), of the Chipola Indians, is currently knocking on the door with the Los Angeles Dodgers. OF Charlie MacFarlane (Lantzville, BC), of the Cumberland Bulldogs, the top man in 2004. C Aaron McRae (Delta, BC), of the Louisiana State-Shreveport Pilots in 2003. OF Ryan Kenning (North Vancouver, BC), of the New Mexico State Aggies and RP Jesse Crain (Toronto, Ont. ), of the Houston Cougars, shared top honours in 2002. LHP Jeff Francis (North Delta, BC) of the British Columbia Thunderbirds in 2001. OF Ben Emond (Farnham, Que. ), of the Texas Longhorns in 2000, our inaugural year. First Team Left-handed starter: Morgan Carlile (freshman, Summerside, PEI), of the Campbellsville Tigers. Carlile earned NAIA Honorable-Mention All-American honors, was named Mid-South conference player of the year and also earned first-team, all-conference honours. Carlile was 9-2 in 14 games, including 12 starts, with a 1.85 ERA. In 75 2/3 innings he walked 13 and struck out 69. He held opposing hitters to a .187 average. He had a two-win week pitching a one-hit shutout in a 7-0 Campbellsville win over Cumberland. Carlile walked one and fanned seven. He also picked up the victory in a 12-5 win over Cumberland, coming on in relief and working 1 2/3 scoreless innings. Carlile was a Player of the Week in week 7. Right-handed starter: James Avery (junior, Moose Jaw, Sask. ), of the Niagara Purple Eagles. Avery was drafted in the fifth round as the 151st pick -- the third Canadian chosen -- by the Cincinnati Reds. He was a hard-luck loser as Niagara was edged 3-2 in the opener of the Metro Atlantic Conference tourney by the top-seeded Marist Red Foxes in the bottom of the ninth. Avery pitched 8 1/3 innings, allowing four hits and three runs -- two earned -- and he walked three and struck out 10. Avery was pitching in a 2-2 game with one out in the bottom of the ninth and a man on third. The Purple Eagles picked up the Red Foxes' squeeze attempt and he threw inside. The Niagara catcher chased the runner back to third and tossed to third for the out. The call was then reversed by the umpire, who ruled interference and Marist was awarded the game-winning run. Avery led the staff with a 3.42 ERA going 5-5 in 15 games, including 14 starts, as he walked 30 and fanned 80 in 92 games. Opponents hit .264 against Avery. Avery was a All-Canadian year honourable mention in 2004 and 2003. Reliever: Rob Nalutka (junior, Langley, BC), of the Armstrong Atlantic Pirates. Nalutka earned All-American honours as voted by the American Baseball Coaches Association (ABCA). He was to the All-South Atlantic Region team. Nalutka fashioned an 0.30 ERA with a 3-0 record and 12 saves in 26 games, walking seven and striking out 46 in 30 innings. Nalutka became the first AASU reliever to earn All-America honors in school history and is the fourth pitcher to earn first-team honors. He set an unofficial PBC and NCAA Division II record with 24 consecutive scoreless appearances to begin the 2005 season. Nalutka gave up just 16 hits in 30 innings and struck out 46 batters in 26 appearances. He held opponents to a measly .155 average. Nalutka was POW in Weeks 10 and 13. Catcher: Chris Robinson (junior, Dorchester, Ont. ), of the Illinois Fighting Illini. Robinson earned All-Big Ten first team honours. Robinson led the Big 10 in pick-offs (seven) and threw out 40.4% of attempted base-stealers. Robinson was drafted in the third round 90th over-all -- as the top Canadian chosen -- by the Detroit Tigers. Robinson also won the Big 10 sportsmanship award. Robinson hit .353 in 50 games with 11 doubles, three triples, eight homers and 37 RBIs. Robinson doubled, hit three homers and drove in nine runs for the Illini in an 8-3 win over the Indiana Hooisers; had two hits in a 4-3 triumph over Indiana, had two more hits in a 7-5 win against Indiana and was 4-for-4 with seven RBIs in an 18-11 win over the Eastern Illinois Panthers. Robinson earned first-team All-Canadian team honours in 2004 and POW in Week 12 of 2005. First base: Karl Amonite (senior, Woodslee, Ont. ), of the Auburn Tigers. Amonite hit a run-scoring single in the seventh to break a tie as Auburn beat the 3rd-ranked LSU Fighting Tigers 6-4 before 7,673 fans in Baton Rouge, La. It was Auburn's first series opening win at Auburn since 1995. Amonite was 3-for-5, including a double and knocked in a run in a 5-4 win over the Virginia Military Keydets and went 4-for-5, including a double, and three RBIs in a 12-0 win over VMI. Amonite led the team, hitting .365 in 58 games with 25 doubles, a triple, 11 homers and 59 RBIs. Amonite earned All-Canadian team second team honours in 2002 and was named to the third team in 2003. Second base: Dustin Bissonnette (junior, Prince George, BC), of the Louisiana State-Shreveport Pilots. Bissonnette was named the Golf Coast Conference Player of the Year. He also earned NAIA Honorable-Mention All-American honors and was named to the GCAC All-Conference team. Bissonette hit .444 in 63 games with 16 doubles, three triples and 51 RBIs, while stealing 26 bases. He was also named to the GCAC All-Academic team. Each player has a cumulative GPA of 3.0 or higher. He hit .500 as the Pilots lost in the final of the CHRISTUS Schumpert Health System/Shreveport-Bossier Convention and Tourist Bureau NAIA Region XIII tournament at Pilots Field in Shreveport. Bissonette was a former Player of the Week in Week 16. Third base:Matthew Bergeron (junior, St. Celestin, Que. ), of the Binghampton Bearcats. Bergeron was named the school's baseball athlete of the year. Bergeron has been an RBI machine and currently ranked ninth in the country in slugging percentage, 12th in home runs and 16th in RBIs at the time of his award. Bergeron, who leads the America East in all three categories, has already broken the school record for RBIs in a season and can break the home run record with his next homer. Bergeron had 10 homers, a triple and 55 RBIs. Bergeron was named a All-Canadian first team honour in 2004 and earned honourable mention in 2003. He was also POW in Week 6. Jeney was named the Great Lakes Conference's Player of the Year. He hit .414 in 51 games with 18 doubles, four triples, six homers and 51 RBIs. Jeney set records in hits (77), at-bats (186), total bases (121) and being second in doubles (18) and games played (52) and fourth in RBIs (51). Where does the 2005 season places Jeney all-time in career marks: first in hits (215), total bases (323), extra-base hits (67) and second in RBIs (134), games played (185), at-bats (591), sacrifice flies (13) and doubles (41). He's third all time in runs scored (122) and triples (11). And he sits fourth in home runs (15). Jeney was a All-Canadian team honourable mention in 2003 and 2004, as well as being POW in Week 9. Outfielders: Tim Smith (freshman, Toronto, Ont. ), of the Midland Chaparrals; Jonathan Baksh (sophomore, Mississauga, Ont. ), of the Florida Tech Panthers and Charlie MacFarlane (senior, Lantzville, BC), of the Cumberland Bulldogs. Smith hit .468 and knocked in 55 runs, with 16 doubles, four triples and eight homers. Smith had a pair of hits as Midland lost 10-8 to the El Paso Tejanos at El Paso, Tx. Smith had a pair of hits in a 10-9 loss to El Paso. Smith was selected in the 17th round by the Milwaukee Brewers, the 11th Canuck selected. Smith was a POW winner in Week 2 of 2005. Baksh was named was named Sunshine State Conference Player of the Year and earned first team all-conference selection. Baksh hit .422 average to lead the entire conference and broke Florida Tech records for hits, at bats, and average. Baksh also led the team in stolen bases with 23 and owned a .991 fielding mark, committing one error on the season. Baksh started in all 55 games and hit an amazing .495 during 24 conference games. He was named a third-team All American by the National Collegiate Baseball Writers of America. Baksh hit a league and led the team in hits (92), doubles (16), triples (five), stolen bases (23), total bases (121), slugging % (.555), and on-base % (.469). Baksh maintained a 3.6 GPA majoring in accounting. Baksh was a All-Canadian team honourable mention in 2004 and POW in Week 5. MacFarlane had three hits, including a double, and knocked in three runs as 5th-seeded, Cumberland opened their reign as defending champs at the 49th annual Avista NAIA World Series with an 11-4 win over the 4th-seeded Biola Eagles in Lewiston, Id. He had two hits in a 12-4 win over the top-seeded Embry Riddle Eagles. After a 6-2 loss to the 2nd-seeded Oklahoma City Stars, the 3rd-seeded host Lewis-Clark Warriors eliminated Cumberland 4-2, despite a three-hit effort by MacFarlane. On the season for the 55-21 Bulldogs he hit .367 in 73 games. MacFarlane had 19 doubles, three triples, 15 homers and 60 RBIs. MacFarlane earned All-Canadian College first-team honours in 2004 and was an honorable mention in both 2003 and 2002, as well as POW in Weeks 11 and 12 in 2005. DH: Mike Gosse (freshman, Pitt Meadows, BC), of the New Mexico Thunderbirds. Gosse earned NJCAA Division I All-American honors. Gosse helped the Thunderbirds to an undefeated run to win the 48th annual Alpine Bank NJCAA Division I World Series in Grand Junction. Gosse singled to ignite a five-run sixth, as New Mexico beat the Hutchinson Blue Dragons before 4,093 fans; had three hits and knocked in a run in a 6-2 win over the Iowa Western Reivers in front of a single-game attendance record of 11,289; doubled and knocked in a run as New Mexico beat the Wallace State-Hanceville Lions to move to 3-0 in front of 9,868; singled twice and drove in a pair of runs as New Mexico eliminated Iowa Western 8-5 before 9,315; homered as the Thunderbirds beat the St. Petersburg Titans 6-2 before 9,565 fans in the final. Gosse hit .381 with a a double, a homer and four RBIs, for the T-Birds first national championship. Gosse, who played second base for part of the season, hit .468 in 62 games with 24 doubles, six triples, seven homers and 78 RBIs. Yup, that's right -- 70 RBIs in 62 games, that's big-time power numbers from a guy who stands 5-foot-9 and resembles a back-up infielder. Gosse hit .468 in 62 games with 24 doubles, six triples and seven homers. Gosse was also voted to the all-district southwest district team and was named to the WJCAC All-Conference team. Gosse was two-time Player of the Week in Weeks 8 and 17. Second team Left-handed starter: Brad Ashman (junior, Trail, BC), of the British Columbia Thunderbirds. Ashman earned NAIA Honorable-Mention All-American honors, was named to the NAIA Region 1 all-star team and picked up his second straight All-Region award Ashman was 10-3 with a 3.53 ERA in 17 games, 15 of them starts. He walked 29 and struck out 70 in 99 1/3 innings. Opponents hit .267 against Ashman. Ashman was a first team All-Canadian in 2004. Right-handed starter (tie): Henry Mabee (sophomore, Victoria, BC), of the Truman State Trojans and Craig Talbot (junior, Victoria, BC), of the Jamestown Jimmies. Mabee was selected to Region XIV first-team all-star team. Mabee pitched in 18 games, starting 11 and pitching eight complete games. Mabee walked 22 and struck out 69 in 85 1/13 innings. Mabee restricted opposing hitters to a .211 average. Talbot earned NAIA Honorable-Mention All-American status. 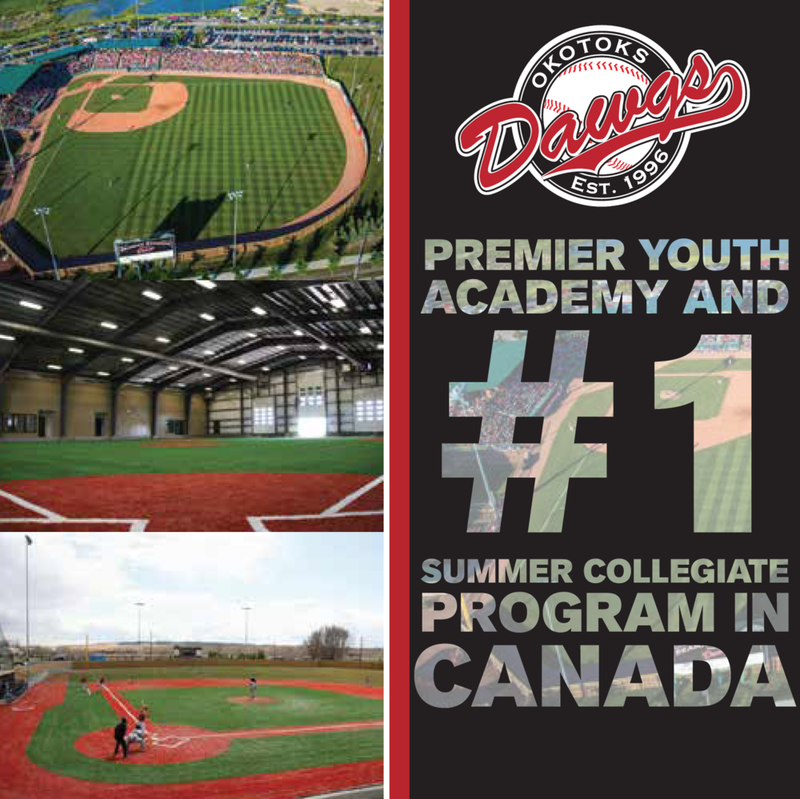 He gained a 4-3 win over the Mayville State Comets in the second game of the Region III tournament at Jack Brown Stadium in Jamestown, ND. Talbot had a perfect 10-0 with a 2.59 ERA. In 13 games, eight of them starts, as he walked 11 and struck out 32 in 59 innings. Opposing hitters batted .204 against Talbot. Talbot was a All-Canadian team honourable mention in 2004. Reliever: Chirs Kissock (freshman, Fruitvale, BC), of the Lewis-Clark State Warriors. Kissock pitched 3 1/3 scoreless innings as the 3rd-seeded Lewis-Clark Warriors were edged 11-10 by the 2nd-seeded Oklahoma City Stars in the second game of the 49th annual Avista NAIA World Series in Lewiston, Id. Kissock allowed one hit and struck out four. Kissock was 6-1 for the 47-9 Warriors with a 1.66 ERA and one save. He walked 10 and struck out 41 in 48 2/3 innings. Catcher:Jake Elder (senior, Delta, BC) of the Minnesota Golden Gophers. Elder was named the winner of the Siebert Memorial as the Gophers MVP for 2005. Elder finished the season with a .328 average, 13 doubles, five home runs, 43 RBIs and a team-leading .417 on-base percentage. He tied a Big 10 record for the most hits in a Big 10 Tournament with 13 and was named to the 2005 All-Big Ten Tournament team. He finished his career with a .318 average, 30 doubles, 16 home runs and 104 RBIs, while scoring 94 runs. Elder received the second All-Big Ten Tournament honors of their career. Elder batted .481 with one home run and eight RBIs for the tournament. Elder earned All-Canadian third team honours in 2004. First base: Jared Schweitzer (junior, Sherwood Park, Alta.) of the Kansas Jayhawks. Schweitzer was selected to the All-Big 12 Second team. He hit .366 -- including a 24-game, consecutive-game hitting streak and he hit safely in 30 of his final 32 games. He had 10 doubles, seven homers and 32 RBIs. Schweitzer was an All-Canadian team honourable mention in 2004 and POW Week in Week 14 of 2005. Second base: Kevin Mailloux (freshman, Winsdor Ont. ), of the Kellogg Bruins. Mailloux earned first team All-MCCAA team honours and was part of the gold-medal winning Canada Summer Games team. Mailloux had two hits and knocked in three runs in a 6-2 win over Henry Ford. Mailloux each had three hits, including a double a homer, while knocking in two as in a 14-4 win over Manchester. Mailloux hit .429 in 46 games with 17 doubles, three triples 12 homers and 61 RBIs. Third base (tie): Jesse Robertson (senior, Oakville, Ont.) of the William Jewell Cardinal and Tyler Moe(sophomore, Oakville, Ont. ), of the Graceland Yellow Jackets. Robertson earned first team honours in the Heart of America conference as he finished third in the batting race with a .441 average. Robertson hit a three-run homer as the William Jewell beat Graceland 8-7 in Liberty, Mo. to cap a strong series against the Yellow Jackets. Robertson doubled in a 13-7 win, tripled in a run as the Cardinal beat Graceland 22-4 and doubled in a run in an 8-5 loss to Graceland. He had 19 doubles, 12 triples, six homers and 49 RBIs. Moe earned second team honours in the the Heart of America conference as a utility player. Moe had three hits, including a double, and knocked in two runs in an 8-7 Graceland win over the Truman State Bulldogs in Lamoni, Iowa. Moe homered and doubled in a 3-for-3 day in an 11-1 win over Baker. Moe had eight hits and five RBIs in the week. Moe was fourth in the conference in the batting race, hitting .418 with 14 doubles, a triple, nine homers and 44 RBIs. Moe was a All-Canadian team honourable mention in 2004 and POW in week 7. Shortstop: Mike Ambrose (junior, St. Thomas, Ont. ), of the the Charlotte '49ers. Ambrose was 4-for-5 day in a 9-6 win over the East Carolina Pirates 9-6. Ambrose tripled, singled three times, knocked in two runs and stole two bases. Ambrose had three hits in a 10-4 win over the Wake Forest Demon Deacons in Winston-Salem, NC. Ambrose hit his seventh double and knocked in a run. On the season, Ambrose hit .324 in 54 games with 13 doubles, five triples, six homers and 44 RBIs. Ambrose earned All-Canadian third team honours in 2004. Outfielders: Chris Emanuele (junior, Mississauga, Ont.) of the Northeastern Huskies; J.P. LaPointe(freshman, Montreal, Que.) of the Bellevue Bruins and Nicolas Boisvert (sophomore, Laval, Que.) Northeastern Oklahoma A&M Golden Norse. Emanuele hit a lead-off double in a 10-3 win over the Harvard Crimson to set a school consecutive single-game hitting streak record at 18. The double broke the school's old mark held by Preston Carroll, who hit in 17 straight for the 1980 Huskies. They have been playing baseball for 84 years at Northeastern and no one has a longer hitting streak than Emanuele. He stole a team-high 17 bases and scored a team-high 50 runs. Emanuele was named first team All-America East conference. His 71 hits are the most in a single season in NU history and his 50 runs scored are second all-time. Emanuele hit .340 with 11 homers and 40 RBIs, leading the team in each category, while he had 10 doubles, three triples and 18 stolen bases. Emanuele earned All-Canadian second team honours in 2002. Emanuele was POW in Week 13 in 2005. Lapointe was an ignitor for top-seeded Bellevue as they dropped the opener of the Region IV tournament in Mitchell, SD and didn't lose again until the championship. Bellevue fell 7-4 to the 8th-seeded Saint Mary Spires. Lapointe singled in a run in an 11-0 win over Morningside, singled twice in a 6-4 win over the 5th-seeded Briar Cliff Chargers, singled in the eighth as Bellevue scored three for a 12-11 win over the 3rd-seeded Bethany Swedes in the semi-final and doubled as the Bruins lost the final 11-5 to Briar Cliff. Lapointe led the Bruins with a .444 average in 63 games, with 14 doubles, four homers and 42 RBIs. Boisvert was selected to the NJCAA All-Region Region 2 Second team. He was named to the NJCAA Region II all-tournament team. Boisvert went 7-for-12 hitting in the No. 2 spot for the Norsemen. Boisvert was 3-for-4 with a double and knocked in three runs in an 11-10 win over the Arkansas-Fort Smith Lions. Boisvert homered and had two hits and knocked in two runs in a 17-9 victory over the the Rogers State Shockers. Boisvert singled and knocked in a pair of runs in a 10-3 loss to the Connors State Cowboys. Boisvert hit .327 in 64 games with nine doubles, three triples, six homers and 70 RBIs. Boisvert earned All-Canadian team second team honours in 2004. DH: Charlie Strandlund (junior, Victoria, BC), of the Albertston Coyotes. Strandlund was named to the NAIA Region I Player of the Year and was selected an NAIA All-America honorable mention selection. Strandlund went 4-for-5 with three doubles, a triple and an RBI in a 12-6 win over the Eastern Oregon Mountaineers in La Grande, Or. He had two doubles in a 3-2, 10-inning loss to Eastern Oregon. Strandlund pitched Albertson to a 15-0 win, allowing four hits, while striking out a pair. Strandlund went 4-for-5 with three RBIs in a 15-7 win over Eastern Oregon. Strandlund hit .600 (12-for-20) with three doubles, a triple, seven RBIs and pitched six scoreless innings to combine with others on a shutout. He hit .397 on the season with seven homers, 24 doubles, and 49 RBIs, while going 7-2 on the mound. Third team Left-hander: Adam Daniels (sophomore, North Vancouver, BC), of the Oklahoma State Cowboys. Daniels was impressive against big-time opposition, going 7-3 with a 4.20 ERA in 17 games, making 13 starts. Daniels pitched a complete game. On the season he walked 26 and struck out 88 in 75 innings. Daniels was a former was an All-Canadian third-team member in 2004 and he earned honourable mention in 2003. Right-hander (tie): Doug Grant (sophomore, Vancouver, BC) British Columbia Thunderbirds and BrockHewitt (sophomore, Toronto, Ont. ), of the Trinity Tigers. Grant pitched a 7-4 UBC win over Eastern Oregon with six impressive innings, allowing two hits and two unearned runs while walking three and striking out seven. Grant had the lowest ERA with UBC, a 1.89 mark, with a 5-3 record in 16 games, 14 of them starts. He walked 37 and struck out 56 in 76 1/3 innings. Hewitt was selected Southern Collegiate Conference pitcher of the year. Hewitt tossed a complete-game, two-hit shutout in a 4-0 win over the Hendrix Warriors in Conway, Ark. He walked one and struck out seven. In a 7-2 win over Rhodes, Hewitt pitched five innings allowing four hits and two runs -- one earned. He walked two and struck out six. He was also named to the All-SCAC first team. Hewitt was only the the sixth second-year hurler to receive the honor. Hewitt finished the season with a 7-1 record and an ERA of 2.30 -- both second in the SCAC -- in 12 games. He also struck out 54 hitters (sixth in the SCAC) and opponents hit just .215 against him (second in the SCAC). Reliever (tie): Chris Toneguzzi (junior, Thunder Bay, Ont.) of the Purdue Boilermakers and Scott Richmond (senior, Langley, BC), of the Oklahoma State Cowboys. Toneguzzi picked up the win as 2nd-seeded Purdue edged the 4th-seeded Michigan Wolverines 9-7 to even their record at 1-1 in the Big 10 tournament in Champaign, Ill. Toneguzzi pitched two scoreless, allowing one hit, recording a strikeouts on all six outs he recorded. Toneguzzi pitched 2/3 of an inning, allowing one hit, striking out one in a 6-5 loss to the 5th-seeded Ohio State Buckeyes. Toneguzzi pitched 1 1/3 scoreless innings allowing one hit and walking one in a 9-7 loss to the 6th-seeded Minnesota Golden Gophers. Toneguzzi was 2-2 with a 1.43 ERA and six saves in 30 games. He walked nine and struck out 38 in 37 2/3 innings. Richmond earned Big 12 Honorable Mention. He was a workhorse ... relieving and starting, starting and relieving, sometimes pitching as long as the Cowboy starters. Example: after a lead-off double in the seventh inning in a tie game against the Texas A&M Corpus Christi, Richmond took over. He got the first hitter on an 0-2 comebacker, retired the next on a liner to right and after an intentional walk, walked a man to load the bases. Richmond fanned the next hitter on three pitches. Richmond pitched on into the 15th, facing three hitters in an inning seven times, recording nine strikeouts. The Islanders won in the 15th, as a lead-off bunt single, a fielding error by and a single to load the bases. Richmond retired the first on a liner to shallow right with the runners holding. The next lined to shallow centre and the throw to the plate was cut off and the first baseman threw to second to get a runner at second, where the ball was dropped and the runner from third broke for home. The runner appeared to be out, but the catcher dropped the throw. The home plate ump did not signal the runner safe initially until he came back to touch the base before the Cowboys catcher could tag him. Richmond worked 8 2/3 innings, allowing two hits, throwing 114 pitches. Richmond was 3-6 with a 3.00 ERA and six saves. He walked 27 and struck out 98 in 99 innings holding hitter to a .204 average. Catcher: Kirk Bacsu (sophomore, Maple Creek, Sask. ), of the the Southeastern Black Hawks. Bacsu earned Division II All-Region first-team honours. Bacsu hit .400 with 12 doubles, three triples, seven homers and 37 RBIs. First base: Kyle Mace (senior, Nelson, BC), of the Louisiana State-Shreveport Pilots. Mace singled in an 8-6 Pilots win over Mobile in Shreveport, La. He doubled in a run in a 7-3 win, singled and drove in two runs in an 11-1 win over Mobile. Mace singled, knocked in a run and stole a base in a 10-8 loss Houston Baptist. Mace batted .342 with 17 doubles, two triples, seven homers and 55 RBIs, second on the team. Second base: Mark Capone (sophomore, Etobicoke, Ont. ), of the British Columbia Thunderbirds. Capone earned second-team, NAIA All-America honours. Against the Albertson Coyotes, he singled, knocked in two runs and stole a base in a 7-4 loss; doubled and singled, driving in two runs in a 16-12 loss; had a pair of hits in a 9-7 win, was 4-for-6 with a double and drove in four runs in a 14-10 win. Capone had nine hits and eight RBIs on the week. Capone hit .390 in 55 games with 18 doubles, four triples, a homer and 41 RBIs. Capone earned All-Canadian third team honours in 2004 and was POW in Week 15. Third base: Andrew MacNiven (junior, St. Catharines, PEI), of the Niagara Purple Eagles. MacNiven was selected to the all-Metro Atlantic Conference first team. MacNevin was named to the conference all-tournament team. MacNiven had three hits, including a double, knocked in two runs and stole a base as Niagara dropped an 8-7, 10-inning decision to the Canisius Golden Griffs in the Big Four Baseball Classic at Dunn Tire Park in Buffalo, NY. MacNiven batted .299 in 51 games with 14 doubles, a triple, six homers and 32 RBIs. Shortstop (tie): Matt Calcagni (sophomore, Brampton, Ont. ), of the Graceland Yellow Jackets and TaylorGreen (freshman, Courtenay, BC), of the Cypress Chargers. Calcagni earned honourable mention honours in the the Heart of America conference. Calcagni doubled, knocked in three runs and stole a base in an 8-7 Graceland win over the Truman State Bulldogs in Lamoni, Iowa. Calcagni doubled in a 3-0 loss to the Baker Tigers in Baldwin City, Kan. Calcagni doubled in a pair of runs in an 11-1 win over Baker. Calcagni hit .350 with 19 doubles, 10 homers and 45 RBIs in 54 games. Green earned Orange Empire Conference first team all-star honors. He had three hits as the Chargers were edged 6-5 in a 10-inning loss to 3rd-seeded Santa Ana in the opener of the Southern California Super Regional playoffs at Wendell Pickens Field in Costa Mesa, Calif. Green hit .400 in 41 games with 19 doubles, two triples, six homers and 31 RBIs. Outfielders: Brad McElroy (freshman, London Ont. ), of the Kellog Bruins; Adam Campbell (sophomore, Surrey, BC), of UBC and Tom Huntingford (junior, West Vancouver, BC), of the Peru State Bobcats. McElroy earned first team All-MCCAA honours. McElroy was 4-for-4, with a homer and two RBIs in a 10-5 win against Kalamazoo. McElroy had four hits and two doubles, knocking in two runs in a 21-8 win over St. Clair. McElroy had two hits with a homer and four RBIs in a 22-2 win over Henry Ford. McElroy batted .404 in 50 games with 17 doubles, six homers and 35 RBIs. Campbell earned NAIA Honorable-Mention All-American honors. Campbell singled home the winning run in the bottom of the 13th as the Thunderbirds beat Concordia. Campbell each had a pair of hits in a 7-2 win over Concordia. He was the leading RBI-man with UBC driving in 57 runs, as he hit .317 in 52 games and doubled 12 times, hit four triples and homered 12 times. Campbell was a All-Canadian team honourable mention in 2004. Huntingford earned NAIA Honorable-Mention All-American honors. Huntingford was 2-for-3 with a double and knocked in a run in a 10-7 Peru State beat Newman. Huntingford was 4-for-5 in a 16-9 loss against Newman and was 3-for-4 with two doubles and two RBIs in an 11-7 loss to Newman. Huntingford hit .393 with 18 doubles, one triple, eight homers and 48 RBIs in 63 games. Huntingford was an All-Canadian team honourable mention in 2004. DH: Corey Stang (senior, Surrey BC), of the Cameron Aggies. Stang hit .384 to earn second team honours in the Lone Star Conference. He doubled, tripled and drove in a pair of runs in a 12-3 Cameron Aggies win over Southwestern Oklahoma in Lawton, Okla. Stang had three hits with a double and and RBI in a 19-6 loss to Southwestern Oklahoma while he singled and knocked in a run in an 11-10 loss to Southwestern. Stang had 14 doubles, three triples, eight homers and knocked in 55 runs in 44 games. Stang was elected to the All-Canadian second team in 2004. Honorable Mention Left-handed pitchers: Drew Taylor (junior, Leaside, Ont.) Michigan Wolverines; Tyler Dale (sophomore, Nelson, BC) of the Central Arizona Vaqueros; Scott Diamond (freshman, Guelph, Ont. ), Binghampton Bearcats; Kurtis Schumacher (freshman, Maple Ridge, B.C.) of the Midland Chaparrals; Shawn Schaefer(freshman, Pitt Meadows, B.C. ), of Midland and Nicholas Bleau (sophomore, Mercier, Que. ), of the Northeastern Oklahoma A & M Golden Norse. Voting (first-place votes in brackets): Carlile (42) 462, Ashman (10) 272, Daniels (15) 237, Taylor (7) 120, Dale (2) 63, Diamond (3) 45, Schumacher 39, Schaefer 20, Bleau (1) 19. Right-handed pitchers: Andrew Koop (junior, Abbottsford, B.C. ), of the Campbellsville Tigers; Kyle Hill(sophomore, Mississauga, Ont. ), of the Wayne State Warriors; Josh Sawatzky (sophomore, Altona, Man. ), of the Niagara Purple Eagles; Jeff Duda (sophomore, Surrey, BC), of the Central Arizona Vaqueros; CharlieStrandlund (junior, Victoria, B.C.) of the Albertson Coyotes; Clay Caufield (freshman, Toronto, Ont. ), of the Pensacola Pirates; David McElroy (sophomore, Victoria, BC) of the Centenary Gents; Dustin Bolton(senior, Calgary, Alta. ), of the Central Missouri State Mules; Sean Dryden (senior, Calgary, Alta. ), of the Oklahoma Baptist Bison; Kris Dabrowiecki (freshman, Toronto, Ont. ), of the Northeastern Huskies; Scott Kelly (junior, Belleville, Ont. ), of the Misouri Valley Vikings. Voting (first-place votes in brackets): Avery (15) 187, Talbot (9) 164, Mabee (8) 164, Hewitt (5) 130, Grant (7) 130, Koop (4) 98, Hill (4) 58, Duda (3) 52, Sawatsky (1) 43, Caulfield (5) 40, McElroy (3) 40, Strandlund (2) 40, Bolton (2) 34, Dryden (2) 32, Dabroweicki (1) 31, Kelly (2) 25. Relievers: Matt Kniginyzky (senior, Mississauga, Ont. ), of the High Point Panthers; Jamey Richmond(freshman, Mississauga, Ont.) of the Texarkana Bulldogs; Danny Desclouds (senior, Stittsville, Ont. ), of the Northwestern State Demons; Scott Robinson (junior, Ajax, Ont. ), of the Maine Black Bears; Jeff Tobin(junior, Pickering, Ont. ), of the British Columbia Thunderbirds; Jonathan Harbridge (junior, Orillia, Ont. ), of the Louisville Redbirds. Voting (first-place votes in brackets): Nalutka (33) 352, Kissock (12) 221, Tongeuzzi (10) 178, S. Richmond (7) 178, Kniginyzky (4) 92, J. Richmond (7) 82, Desclouds (4) 66, Robinson (2) 29, Tobin 20, Harbridge (1) 12. Catching: Nick Tillsley (freshman, Fort Macleod, Alta. ), of the Arkansas-Monticello Boll Weevils; JoshVander Hey (freshman, Calgary, Alta. ), of the Texas Wesleyan Rams; Aaron Izaryk (senior, Markham, Ont.) of the Maine Black Bears; Lance Tofflemire (sophomore, Leamington, Ont. ), of the Parkland Cougars;Steve Bell-Irving (sophomore, Vancouver, BC) of the British Columbia Thunderbirds; Sean Hotzak(sophomore, North Vancouver, BC), of the Armstrong Atlantic State Pirates; Dillon O'Krane (sophomore, Langley BC), of the Iowa Western Reivers; Brian Vickers (sophomore, Chilliwack, BC), of the Central Coppin State Eagles; Lyall Foran (sophomore, Delta, BC), of the Western Nebraska Cougars; Joel Collins(sophomore, Richmond Hill, Ont.) of the South Alabama Jaguars. Voting (first-place votes in brackets): Robinson (37) 416, Elder (15) 289, Bascu (12) 196, Tillsley (6) 142, Vander Hey (1) 56, Izaryk (3) 52, Tofflemire (3) 32, Bell-Irving 24, Hotzak 23, O'Krane (1) 17, Vickers 16, Foran (1) 11, Collins (1) 10. First base: Cole Armstrong (junior, Swift Current, Sask. ), of the Central Missouri State Mules; Eric Wolfe(junior, Toronto, Ont. ), of the Purdue Boilermakers; John Mariotti (sophomore, Toronto, Ont. ), of the Gulf Coast Commodores; Brian Brown (junior, Guelph, Ont. ), of the Missouri Valley Vikings; Ron Oneson(sophomore, London Ont. ), of the Ashland Eagles. Voting (first-place votes in brackets): Amonite (55) 642, Schweitzer (6) 222, Mace (4) 164, Armstrong (4) 102, Wolfe (2) 93, Mariotti (3) 46, Brown (4) 45, Oneson (3) 20. 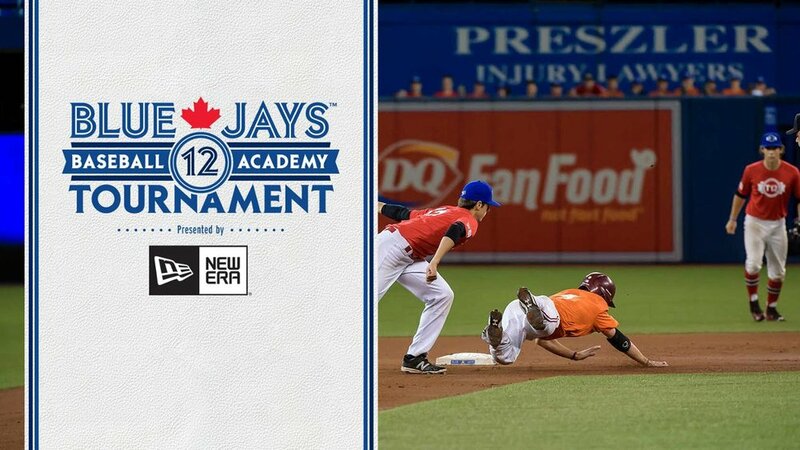 Second base: Tyler Johnstone (junior, Brampton, Ont., Auburn Tigers; Rob Recuenco (senior, Vancouver, BC), of the Armstrong Atlantic State Pirates; Brad McConnachie (sophomore, Ajax, Ont. ), of the Ohio Valley Fighting Scots; Aaron Jamieson (junior, Lindsay, Ont. ), of the Marshall Thundering Herd; Jason Chapieski(junior, Windsor, Ont.). Voting (first-place votes in brackets): Bissonette (33) 424, Mailloux (17) 295, Capone (7) 230, Johnstone (14) 203, Recuenco (4) 47, McConnachie (1) 26, Jamieson (3) 37, Chapieski (2) 22. Third base: Cory Turchan (senior, Stouffville, Ont. ), of the Spalding Pelicans; Anthony Talanca (junior, Bolton, Ont. ), of the Campbellsville Tigers; Sukhyun Nam (junior, Mississauga, Ont. ), of the Southern Nazarene Crimson Storm; Sean Cunningham (freshman, Whitby, Ont. ), of the North Central Texas Lions;Brian Briscoe (freshman, North Vancouver, BC), of the Peru State Bobcats. Voting (first-place votes in brackets): Bergeron (27) 318, Robertson (16) 289, Moe (12) 289, MacNevin (13) 137, Talanaca (3) 59, Lynch (4) 56, Turchan (1) 55, Nam (1) 49, Cunningham (3) 44, Briscoe (1) 18. Shortstop: Tyler Hughes (junior, Brampton, Ont. ), of the British Columbia Thunderbirds; Andrew MacDonald (freshman, Charlottetown, PEI), of the Niagara Purple Eagles; Brandon Magierowski(sophomore, Lethbridge, Alta. ), of the Louisiana State-Shreveport Pilots; Reed Eastley (senior, Brandon, Man. ), of Niagara; Steven Condotta (sophomore, Mississauga, Ont. ), of the Florida Tech Panthers; ArmanSidhu (junior, Mississauga, Ont. ), of the Northeastern Huskies; Jason Harynuk (senior, Thunder Bay, Ont. ), of the Ashford Saints; Mark Charrette (freshman, Ottawa, Ont.) of the Shorter Hawks. Voting (first-place votes in brackets): Jeney (26) 230, Ambrose (12) 194, Calcagni (9) 167, Green (8) 167, Hughes (3) 61, MacDonald (5) 56, Magierowski (1) 55, Eastely (6) 54, Condotta (4) 54, Sidhu (2) 41, Harnyuk (2) 39, Charette (1) 18. Outfielders: Jimmy VanOstrand (junior, North Delta BC), of the Cal Poly San Luis Obispo Mustangs; JeffMacLeod (senior, Milton, Ont. ), of the Salem International Tigers; Darryl Fuchihara (sophomore, Thunder Bay, Ont. ), St. Scholastica Saints; Kern Watts (sophomore, Brampton, Ont. ), of the Evansville Purple Eagles; Eric Cassidy (sophomore, Windsor, Ont. ), of the Concordia-Ann Arbor Cardinals; Richard Smythe(junior, Brampton, Ont. ), of the British Columbia Thunderbirds; Mike Larson (senior, Weyburn, Sask. ), of the California-Pennsylvania Vulcans; Tim Sogan (freshman, Hamilton, Ont. ), of the Eastern Oklahoma State Mountaineers; Ryan Roeder (senior, Waterloo, Ont. ), of the Lander Bearcats; Sean Camilleri (senior, Coquitlam, BC) of the Harding Bison; Adwin Springer (junior, Toronto, Ont. ), of the Wayne State Warriors;Darryl Pui (freshman, Thornhill, Ont. ), of the South Carolina-Aiken Pacers; Kip Kieth (junior, Waterdown, Ont. ), of the Oklahoma Baptist Bison; Robert Harynuk (senior, Thunder Bay, Ont. ), of the Ashford Saints;Adrian Kerr (sophomore, Brampton, Ont., Graceland Yellow Jackets; Eric Cattoni (sophomore, Lethbridge, Alta.) of the Southern Idaho Golden Eagles; Ken Fuglerud (freshman, Lethbridge, Alta.) of Souther Idaho;Thomas Lees (sophomore, Edmonton, Alta.) of the Taft Cougars; Nicholas Bleau (sophomore, Mercier, Que. ), of the Northeastern Oklahoma A & M Golden Norse; Dane Embry (freshman, Kelowna, BC) of the Porterville Pirates. Voting (first-place votes in brackets): Smith (43) 518, Baksh (34) 417, MacFarlane (32) 395, Emanuele (30) 368, Lapointe (16) 253, Boisvert (13) 202, McElroy (9) 184, Campbell (8) 178, Huntingford (5) 155, VanOstrand (9) 127, McLeod (2) 123, Fuchihara (6) 119, Watts (7) 114, Cassidy (4) 102, Smythe (3) 98, Larson (1) 97, Sogan (2) 75, Roeder (3) 58, Camilleri (1) 54, Springer (3) 47, Pui (1) 30, Kieth (3) 27, Robert Harynuk (2) 26, Kerr (1) 23, Cattoni (1) 22, Fuglerud (1) 15, Lees (1) 15, Bleau (1) 7 Embry 7. DH: Mike Alati (junior, Vaughan, Ont. ), of the Niagara Purple Eagles; Nicholas Bleau (sophomore, Mercier, Que. ), of the Northeastern Oklahoma A & M Norsemen; Jeff Tobin (junior, Pickering, Ont. ), of the British Columbia Thunderbirds; Jason Greening (freshman, Windsor, Ont. ), of the Grand Rapids Raiders; KyleMace (senior, Nelson, BC), of the Louisiana State-Shreveport Pilots. Voting (first-place votes in brackets): Gosse (53) 515, Standlund (4) 213, Stang (4) 202, Alati (8) 98, Bleau (5) 77, Tobin (4) 59, Gianou (1) 13, Greening 12, Mace (1) 10.